Opening reception, exhibition viewing, and book signing with collector Susan Grant Lewin and contemporary jewelry scholar Ursula Ilse Neuman, who will discuss works on view. View full event details & purchase tickets. Explore the world of contemporary jewelry design with esteemed scholars and renowned jewelers during this day-long symposium highlighting the exhibition. Hear from: Jamie Bennett, Doug Bucci, Helen Drutt, Iris Eichenberg, Thomas Gentille, Bruce Metcalf, Myra Mimlitsch-Gray, Lindsay Pollock, and Kiff Slemmons. View full event details & purchase tickets. 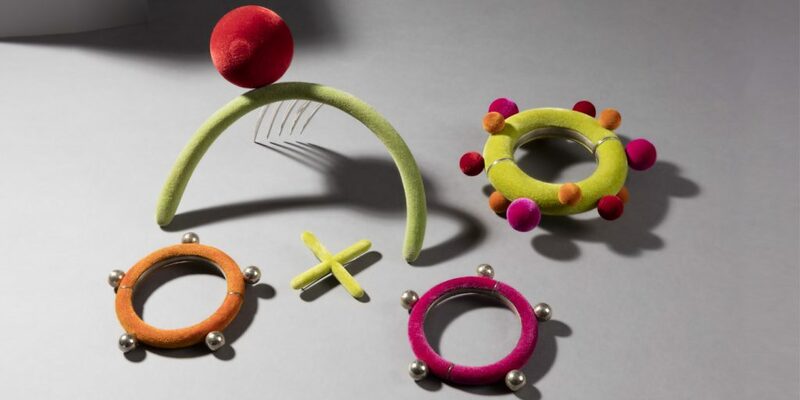 Celebrating a major gift of contemporary jewelry from Susan Grant Lewin to Cooper Hewitt, Smithsonian Design Museum, the exhibition features nearly 150 objects by over 100 modern and contemporary jewelry designers and makers from eighteen countries, from the late 1940s to the present. Lewin, a preeminent collector in the field, has acquired many significant and unique pieces during forty-plus years of collecting. These works were chosen as superb examples of the creators’ explorations of ornament and idea, social commentary and communication, and for their innovative use of materials, approaches to design process, and technique. Jewelry of Ideas: Gifts from the Susan Grant Lewin Collection is made possible in part by the Rotasa Fund, Society of North American Goldsmiths (SNAG), Gallery Loupe, Sienna Patti, William P. Short III, in memory of Nancy Jean Fulop Short, Helen W. Drutt English, Kim and Al Eiber and Ornamentum Gallery. This new program is launching in October 2017. Each Council Leader will facilitate meet-ups, send out monthly emails to their region’s members about opportunities and events in their area, welcome new members, and report on member achievements and events to the SNAG office. Council Leaders will also write posts for the SNAG Connects Blog and create short SNAG videos that will connect members virtually, creating a more dynamic online community. SNAG would like to take this opportunity to recognize our Corporate Members for their support: AGTA, Halstead, Pocosin Arts, and Shapeways. 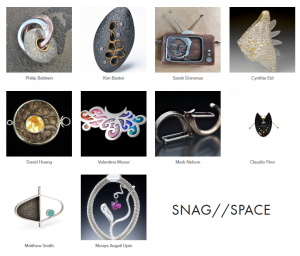 Don’t miss the 2017 SNAG Links project online exhibition and sale! Ten artists created links, which were exhibited at the SNAG conference. Some of the links can still be purchased online. The links were also written about by each artist and featured in the ebook Linking Our Lineage, Volume 3. A big thank you to Victoria Lansford for organizing this third installment of the Links project and to Agnes Ma for putting the exhibition online. Three exceptional emerging artists, Kat Cole, Motoko Furuhashi and Anne-Sophie Vallée, will each speak about the development of the innovative jewelry they create. Jewelry artists Ezra Satok-Wolman and Wendy McAllister will each present a lecture about their work and collaborative exhibition project Genesis: Life and Form Through Different Lenses. From a simple flower to complex fractals, the lectures will explore how both artists draw inspiration from the geometry of the natural world, and the vastly different ways in which they interpret it. CAST: Art and Objects Made Using Humanity’s Most Transformational Process by Jen Townsend and Renèe Zettle-Sterling is a new book that shines a light on the under-appreciated art of casting from the Bronze Age until today. This lecture will focus on SOFA artists who are featured in the book and who use casting in a variety of ways with incredible and varied outcomes. There will be a book signing with the authors following the lecture. Jewelry artist Janis Kerman will discuss her journey through the contemporary jewelry world. Kerman’s work is based on geometric shapes – their inherent strength, applicability, and timelessness. Following the lecture will be a signing of her recent book, Reminiscence: A 45 Year Journey in the World of Contemporary Jewelry at the Option Art booth. Presented by Galerie Noel Guyomarc’h and Option Art. In this lecture, artist David Huang will consider his exploration of form, design and patina as his body of work has developed over the years. Huang’s metal vessels showcase skilled craftsmanship and explore the physicality of the material world. Presented by Kirsten Muenster Projects. 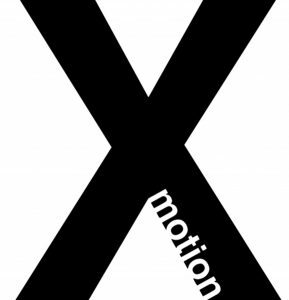 The 2018 Exhibition in Motion committee is seeking proposals for works that offer protection, defensively or offensively. We are encouraging non-traditional proposals that push boundaries or have yet to be seen in a previous Exhibition in Motion. This includes hollowware and blacksmithing work. Unwearable objects welcome. Collaborations and class projects are also encouraged. The event takes place May 26th, 2018 from 7:30-9:30pm at the SNAG conference in Portland, Oregon.